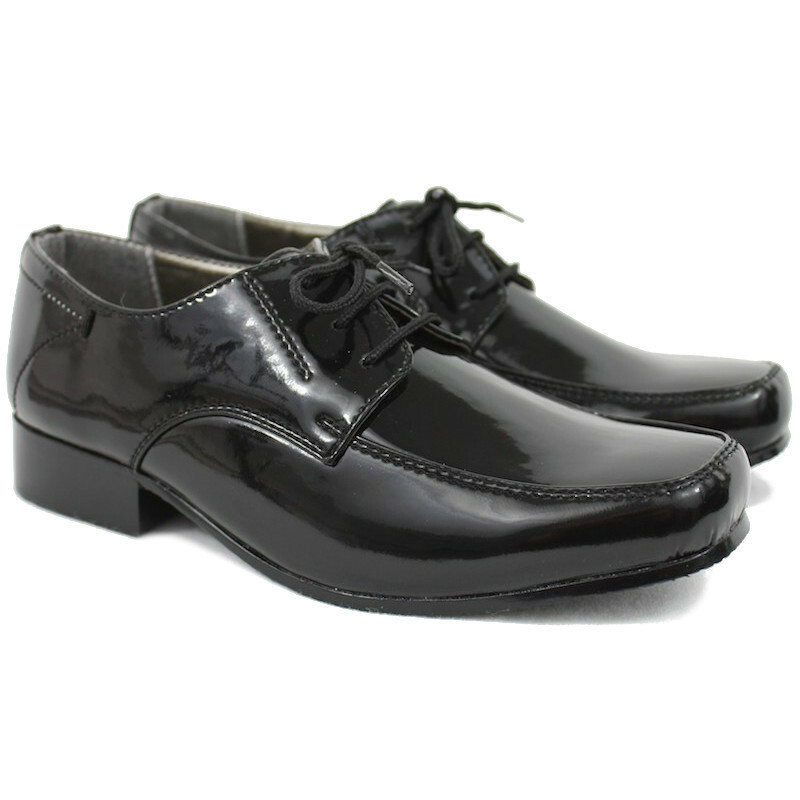 Boys black patent formal shoes named William, suitable for toddler through to junior, perfect to compliment a special occasion suit for a wedding or formal occasion. Materials: Leather upper (with patent coating), textile lining, outer sole (other materials). Compliment with a formal suit for a smart look. Presented in a large black presentation shoe box. We would strongly recommend you check and compare the measurements prior to purchase to ensure you select the right size.